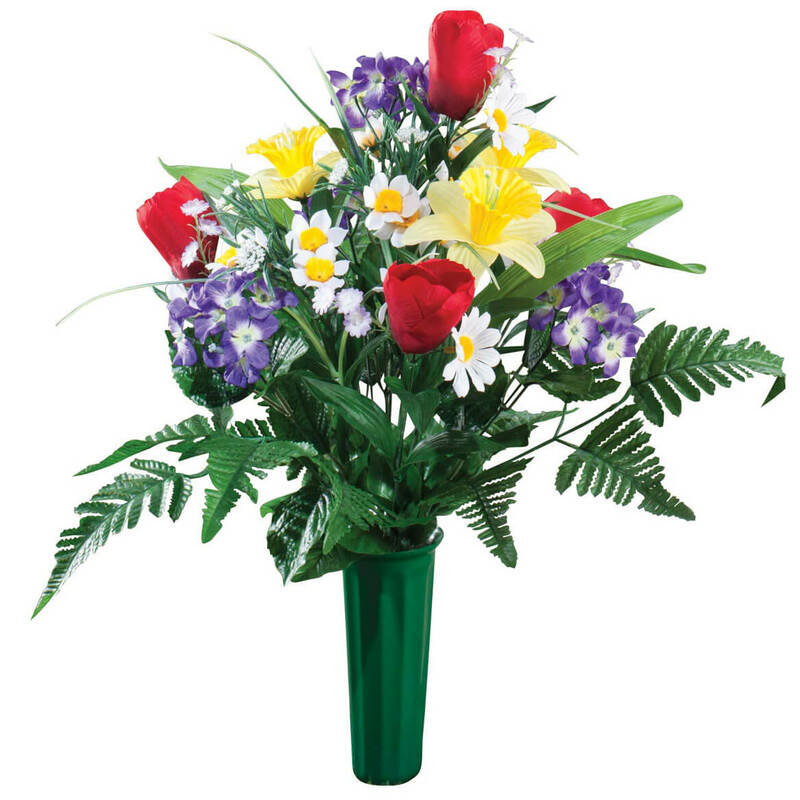 Add 2 Memorial Bouquets to Cart, Get $1 Off each! MK carries both a Winter and Spring memorial bouquet. Winter has a metal spike to fasten it to the ground. It stays. Spring has a plastic spike to fasten it. It does not work well. Leads to breaking and then the wind blowing it away. Both should be in metal containers and spikes so they last more than 1 year. I'd like to see Memorials expanded at reasonable rates. I was very pleased how it was made. Looks beautiful on my Mom and sister's grave. This is a vibrant mix of silk flowers adding color to Spring decorations. I used 2 sprays to make a pot of Spring flowers for myself and mother-in-law. 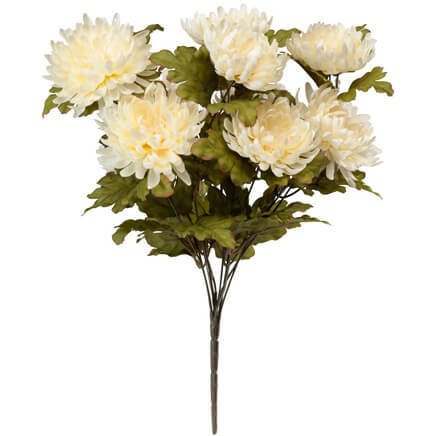 I have bought these before for my dad's grave. They always look great. I just bought them for my father in law and mother in laws graves too. I chose the Spring flower bouquet because the flowers in it remind me of Spring. Good quality and nice looking. Have used these before and they are a good price. Last longer on grave sites. 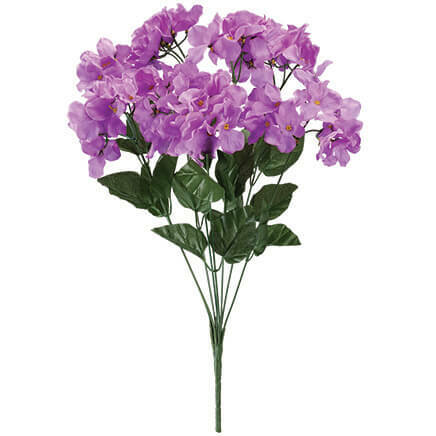 This is a beautiful small arrangement that fits well in a place where an arrangement of this particular size is ideal. It is bright and cheerful, and colorful, and just what I needed. Also, it is durable to weather, and can even be seen from afar. Pretty Spring decoration for graveside. We place flowers on our mother's gravesite for Mother's Day and Spring. From the pictures, they meet our needs. family member has ordered and I was impressed with quality. 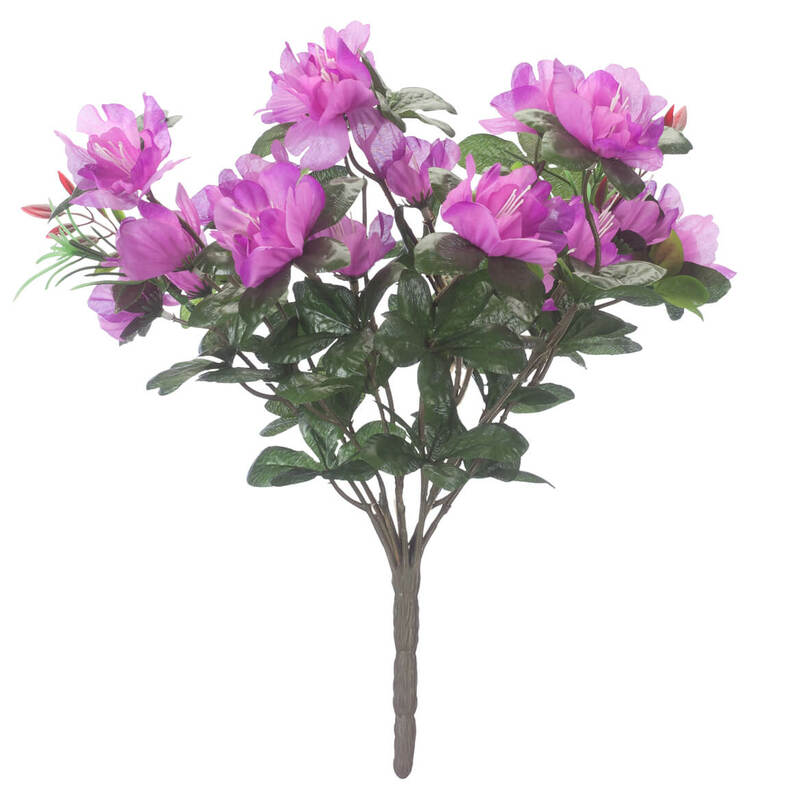 I have ordered them before and very please with them for cemetery flowers! Memorial for my daughters grave. Spring placement for my gentleman's grave. To place on graves at Easter. Exactly what is lookin for! Have many loved ones I want to remember this spring. I ordered these to put one on my husbands grave and one on my dads grave. They look very pretty. 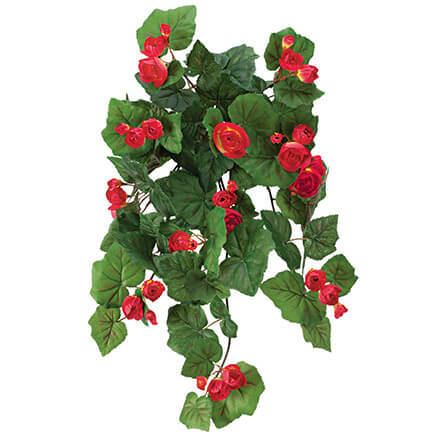 they are really great for the grave site and they look good. 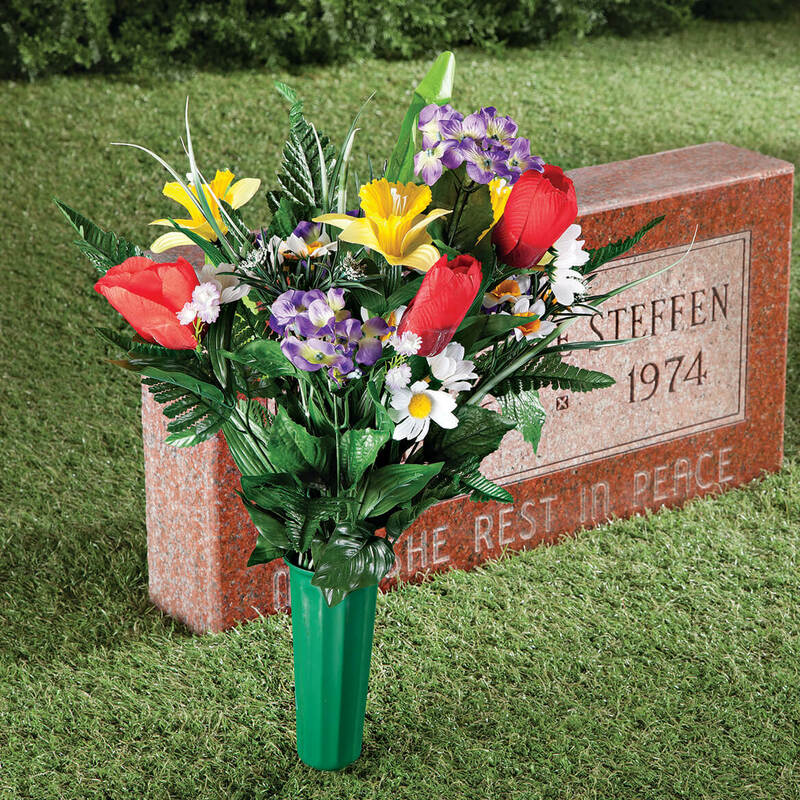 BEST ANSWER: Yes it came with this green vase which allows you to poke it into the ground next to a headstone. We removed the poke-piece on the bottom enabling us to insert the vase into a round holder on the face of our daughter's elevated/outside grave. 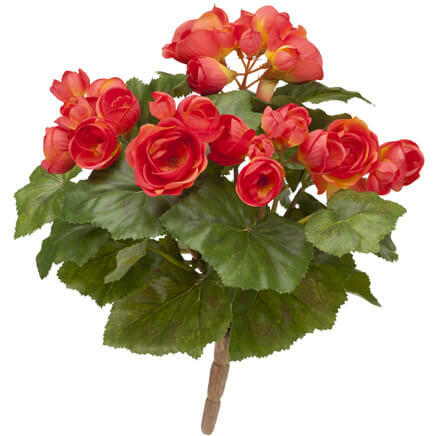 Excellent choice, very nice, colorful and hearty arrangement and yes it does come planted in a sturdy pot. Definitely recommend this product.